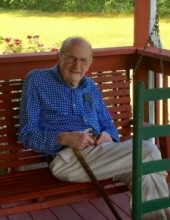 Walhalla – Pastor Carrol “Bud” Cobb, 84, loving husband of Betty Jean Blackwell Cobb, of 260 Flat Rock Road, passed away, January 17, 2019, at his residence. Born in Oconee County, SC, he was the son of the late Wade Thomas Cobb and Grace Elizabeth Smith Cobb. Bud owned and operated Cobb Salvage. He was Senior Pastor of the Lighthouse Church of Walhalla. In addition to his wife, Bud is survived by sons; Keith Cobb (Donna) of Walhalla and Gregg Cobb (Janet) of Walhalla; daughters, Carol Rogers (Donnie) of Walhalla and Wanda White (Floyd) of Walhalla; brothers, Richard Cobb and Randall Cobb of Walhalla; sisters, LaVerne Taylor of Greensboro, NC, Rebecca Isani of Blacksburg, VA, Elizabeth Ramey of Walhalla, SC, Brenda Certain of Salem, SC, Cynthia White of West Union, SC, and Cathy Sanders of Laurens, SC; ten grandchildren and thirteen great-grandchildren. In addition to his parents, he is preceded in death by a brother, James Cobb. A funeral service will be held at 11 am, Saturday, January 19, 2019 at the Lighthouse Church of Walhalla with burial to follow at Evergreen Memorial Gardens. The family will receive friend’s 6-8 pm, Friday, January 18, 2019 at Sandifer Funeral Home. To send flowers or a remembrance gift to the family of Carrol Rhinehart Cobb, please visit our Tribute Store. "Email Address" would like to share the life celebration of Carrol Rhinehart Cobb. Click on the "link" to go to share a favorite memory or leave a condolence message for the family.